Let’s get real about lashes—everyone wants long, feathery lashes but falsies are not everyone’s cup of tea. They’d rather master the art of making the most of their mascara, which we believe is the easier (and better) way out too. 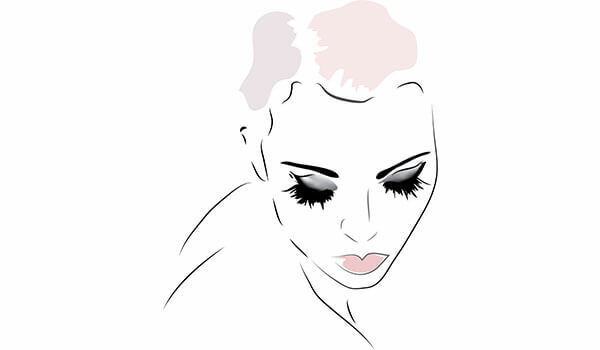 Scroll down to read all the ways you can make your lashes appear long. A coat of clear mascara on your lashes helps define and separate them. It also helps add volume and you can curl your lashes as upwards as you can without the fear of clumping them. The clear mascara also helps add length and hold the lashes in place. After you apply the clear mascara, lengthen them further by using a lash curler. Do this when the clear mascara is still slightly wet. You can also apply some heat on your lash curler using a blow dryer and when the curler is slightly heated, curl and hold the eyelashes until they’re nicely lengthened out. Wiggle the mascara wand back and forth to maintain the length if the lashes as you apply the product. Start at the base of the roots and wiggle upwards. Using a volumizing mascara is an added advantage in this step—we absolutely love the Lakmé Absolute Flutter Secrets Dramatic Eyes Mascara that gives you the best of both worlds—length and volume! Excess product on your mascara wand will only cause your lashes to clump. The best way to get flawless application is to get rid of the excess product on the wand using a tissue. A little goes a long way! If you feel like you’ve not acquired the desired length, place a spoon at the edge of the lash and using your mascara wand, curl your eyelashes such that the spoon gives them a lift. You can also hold the spoon for a few seconds to set the length. Do the same on your lower lash line as well. Dusting a light coat of powder on your eyelashes before applying mascara can also plump them up creating an illusion of longer, fuller lashes. Try all of these tips to get long, dreamy lashes!